There was a time, believe it or not, where Irish born players were actually a mainstay in the Major Leagues. Granted, that time was almost a hundred years ago, but, there was a time! 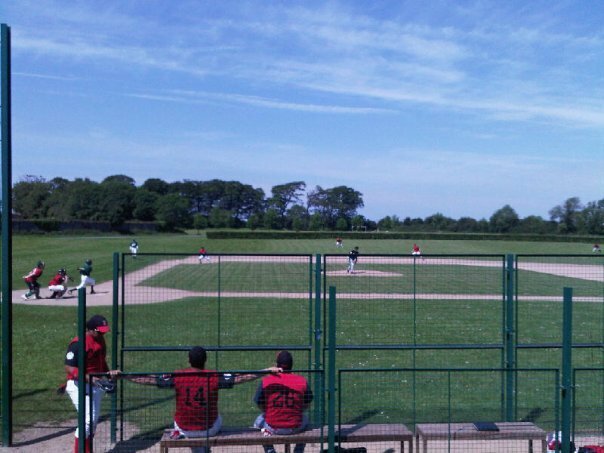 It is not too far a stretch either to say that baseball was actually 'born' in Ireland, by way of 'Rounders'. ''The consensus of historians is that it evolved from bat-and-ball games, such as rounders, brought to the continent by British and Irish immigrants.'' quote from..
You can find an alphabetical list of baseball players born in Ireland who played in the major leagues from 1871 through 2004 here. The stories of the players are colourful and nostalgic. Take 'Irish McIlveen' for example. 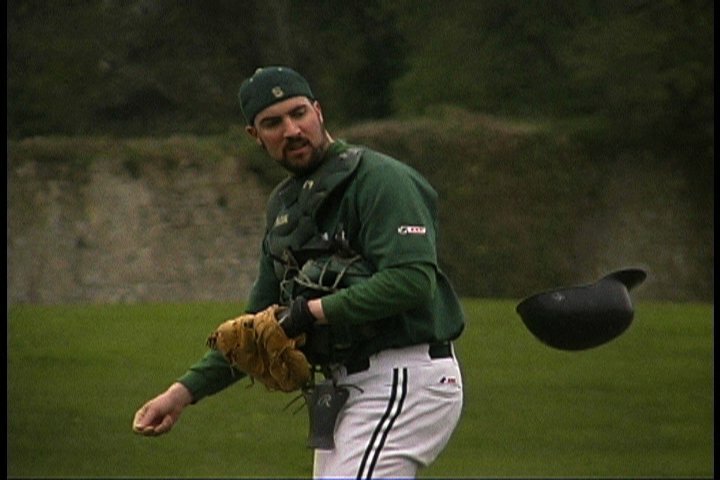 Imagine coming from Ireland, looking to find a start in the 'new world', and ending up playing professional baseball. Was it a skill that came from hand eye coordination games like Rounders and Hurling? How was it that Irish players took so easily and successfully to the game? Someday someone will research these guys fully and comprehensively, and it will spin itself into a wonderful tale. For now, Baseball Ireland, the current incarnation, does its own very small bit by naming their annual awards after several of the most popular of the Irish born Major League stars of old. leaguer, having played the most games and boasted the best batting average. He was also responsible for bringing a certain Babe Ruth to the attention of the Red Sox. He starred with the Pirates for eight seasons, notching six consecutive .300 seasons and serving as player-manager in 1897 and 1899. In current Irish League Baseball, the player with the highest batting average and enough plate appearances is awarded the 'Patsy Donovan' Batting Champion Award. The Irish League MVP is awarded the 'Andy Leonard 'League MVP Award. Past winners are Darran O'Connor of the Spartans and Steve Divito of the Hurricanes. Andy Leonard from Co Cavan, was indeed one of the nine "First Boys of Summer" and the only Irish-born player on the World Champion Cincinnati Red Stockings team of 1869 and the very first in professional baseball. He continued his feats and helped create and sustain the original Boston Red Stockings championship dynasty from 1872 through 1876 and again in 1878, competing all tolled in six world championships. He had the joint 2nd best career average for an Irish player of .299. He was said to be the finest left fielder of his generation. He took particular delight in returning in 1874 during an exhibition tour of the Red Stockings and the runner-up Philadelphia Athletics. In his diary and press clippings of that year, Andy and his life-long friend Harry Wright were the leading batsmen as the Yanks walloped the then reigning Marybone champions in London at their own game, cricket. Good times. The best pitcher in Irish League play over the course of a season is awarded the 'Tommy Bond' Best Pitcher Award. Past winners of this award are Chaime Cuevas and Shaun Miskiman. Tommy Bond was born in Granard in Co Longford in 1856. He became the first triple crown pitcher when he led the National League with 40 wins, 170 strikeouts, and a 2.11 ERA for Boston in 1877. The best offensive players in Irish League play are awarded the `Dirty' Jack Doyle Silver Slugger Award. Pat Nolan is a previous winner of this award. Ireland native `Dirty' Jack Doyle is one of 20 major leaguers to have played 100 games at four different positions. Of all the Irish players he had the most career doubles (315), home runs (26), RBI (968) and highest slugging percentage (.385). He was 2nd behind Patsy Donovan in triples, runs, steals and average. He was also reputedly baseball's first pinch hitter, coming off the bench to single for the Giants in 1892. Doyle was born in Killorglin, Co Kerry. All told, forty major-leaguers were born in Ireland: 39 were born in the 19th century, and one (so far!) in the 20th. So who was the last Irish Born player to play in the Major Leagues? Joseph Christopher Cleary (December 3, 1918 - June 3, 2004) was a Major League Baseball pitcher during part of the 1945 season. The right-hander was born Tuesday, December 3, 1918, in Cork, Ireland. He was the last native of Ireland to appear in a major league game. Cleary was 26 years old when he broke into the big leagues on August 4, 1945, with the Washington Senators. In his only major league appearance, Joe Cleary gave up seven runs while getting one out. The one out was a strikeout, as described by Joe himself to the Baltimore Post. He passed away June 3, 2004 at the age of 85 in Yonkers, New York. Joe is buried at the Gate of Heaven Cemetery, Hawthorne, New York. Syrupy as it is, I would love, some day, to visit Joe Cleary in the Gate of Heaven Cemetery and let him know that baseball is growing in Ireland. Let him know maybe some day we can update the record books and Joe can come back to being just one of the Irish lads that played in the majors, not the last one to do so.